Mermaids are as magical as they come. And if you could have something mermaid-y with you all the time, wouldn’t you? 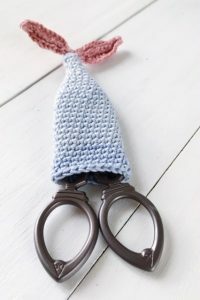 That favourite pair of vintage scissors tucked in your crochet basket — yes, that pair that looks so good in photographs — is the perfect muse for this sweet project. 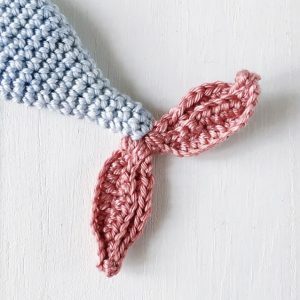 This pattern is a quick make (a great gift idea too!) and you can make a dozen of these in all colours of the rainbow, perhaps to match your Instagram mood of the day. 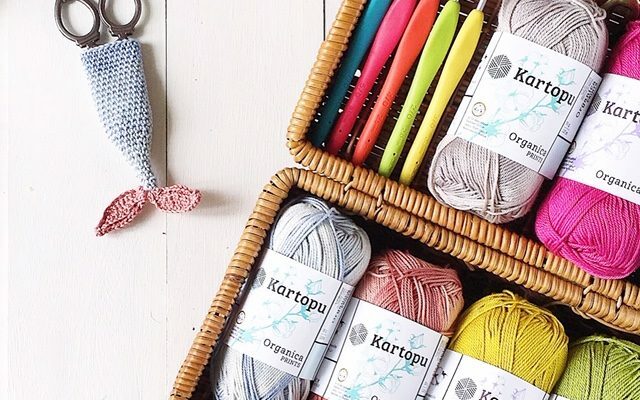 We used the Kartopu Organica Prints range of yarns to make ours and we just love how the subtle colour changes give that much more definition to the mermaid tail.